Miraculum, the Hungarian artist, continues to improve day by day its quality and musical production. 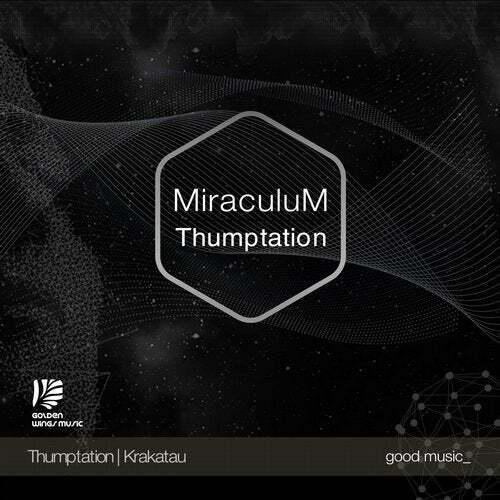 After an excellent 2018, (Gyorgy Udvardy) MiraculuM one of the founders of Stellar Fountain imprint arrives at Golden Wings Music to present his new work Thumptation. There are always emotional and special elements in the productions of Miraculum. The way he designs and constructs his subtle sounds is very careful, bright and mysterious. His experience transports us through his stories. We can not say that it is only Progressive House or Deep Progressive because Miraculum gave us two magical songs that can not be pigeonholed in a single style because they are simple pleasures.